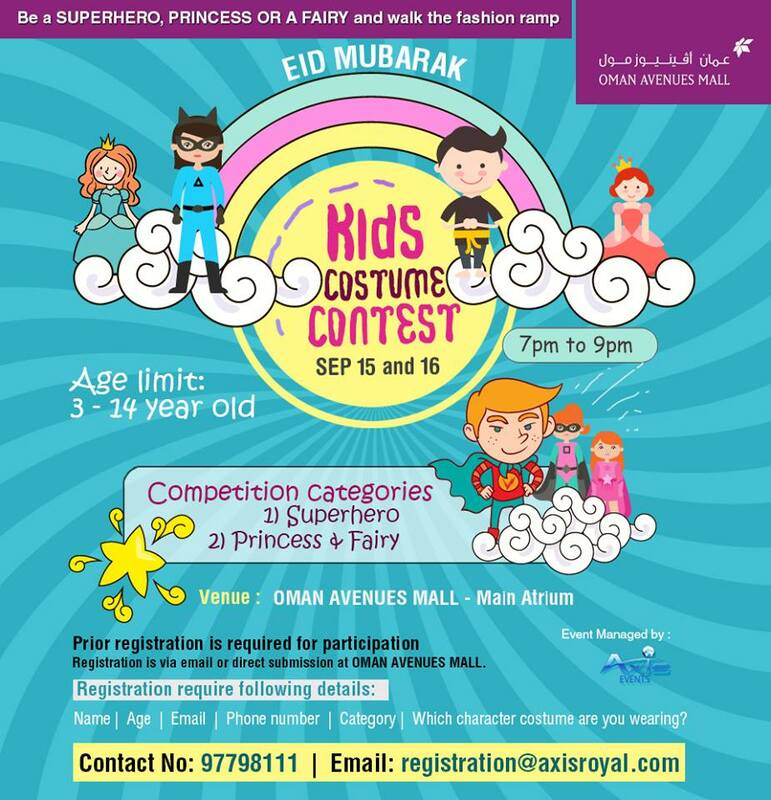 Next weekend, on the 15th & 16th September at the Oman Avenues Mall there is a kids costume contest being held at the Oman Avenues mall in Ghubra. Rather than reinvent the wheel on this, I've simply copied the blurb from the facebook event page. Join us as we ring in the first ever biggest costume contest in Oman. 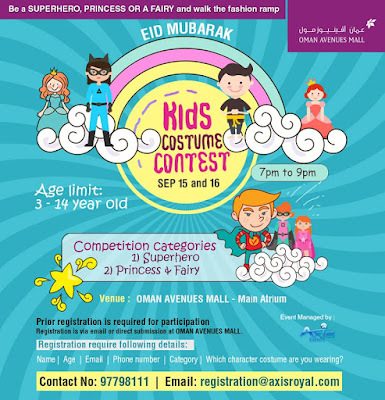 Be a SuperHero, Princess or a Fairy and walk the Fashion Ramp at Oman Avenues Mall. Entry is only by pre-registration and with very simple procedure "Just send the below details to our social media page or send an email with the below details to ★ registration@axisroyal.com ★"
✪ Which character costume are you wearing? Well, now you know! And no, I've no idea what the prizes are!